Focus on what you are good at - we take care of your business software and IT. We host your fully integrated ERP and eCommerce system, while you make your business grow. ...while you are busy. We are entrepreneurs ourselves and know what it's like when 24 hours in a day sometimes are not enough. Let us take care of setting up your business applications and worry about backup of data and security. Scale your system to your business needs as your organization undergoes change. No double work - Odoo apps are perfectly integrated to each other, allowing you to fully automate your business processes. Grow your business with our apps or a webshop. Start out with apps for purchasing and invoicing, and then expand functionality as your business grows. Koodoo provides a full ERP and eCommerce system based on Odoo for smaller businesses and home offices. Our ERP solution is suitable for all types of organizations, whether private businesses or governmental institutions, industry or services. Get apps as needed for CRM, sales, purchasing, inventory, accounting or add a webshop - or pick an app available specifically for your type of business. 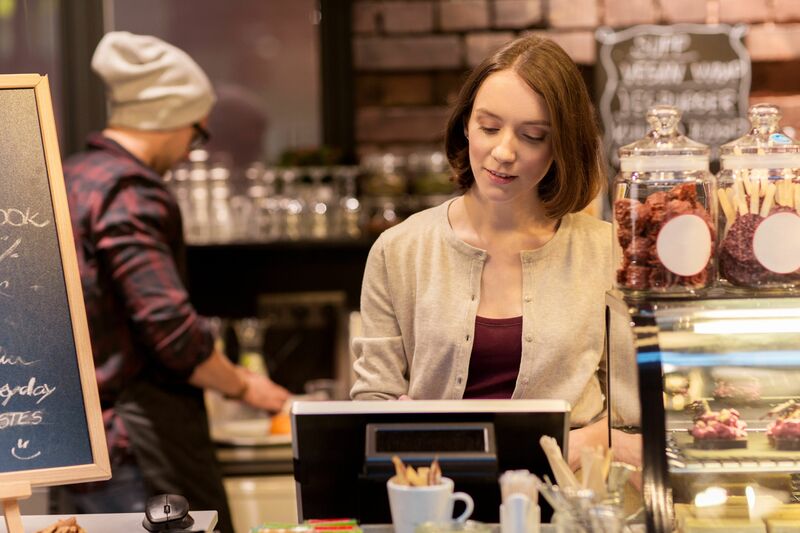 For retail and for restaurants & catering we have out-of-the-box POS solutions ready to be installed in your shop or your café within a day. Sign up for a subscription to one of our solutions and all you need is access to the internet - that's it! We setup your system for you and can offer bookkeeping services at a sharp price - just send us copies of the necessary documents, such as expense receipts, supplier bills and bank statements directly from your mobile phone. We provide all technical infrastructure depending on your needs, including cloud-based hosting of your website, webshop, applications and data. Your system is always online with real-time data, and you won't need to worry about backup and security - all you need is access to the internet. Should you prefer to install the system in your own environment, we can also easily do that for you - no problem. Our developers apply cutting edge open source technologies to enhance the scalability of Odoo applications and incorporate your specific business requirements. We provide a full ERP and eCommerce system based on Odoo for your small business or home office. All system modules are integrated, and we provide the assistance of an accountant to help you setup and configure your accounting system. Our retail solution includes a state of the art point of sale, which easily can be integrated to your inventory and webshop. All functionality is out-of-the-box. For shops we support handling of sizes, colors and other product variations. For restaurants, cafés and canteens the functionality includes multiple tables, split bill, several bills open on the same till and many other. You can use your own POS hardware or get our modern till with touch screen, customer display, scanner, cash drawer and receipt printer.